Description: This couple in front of their tent. 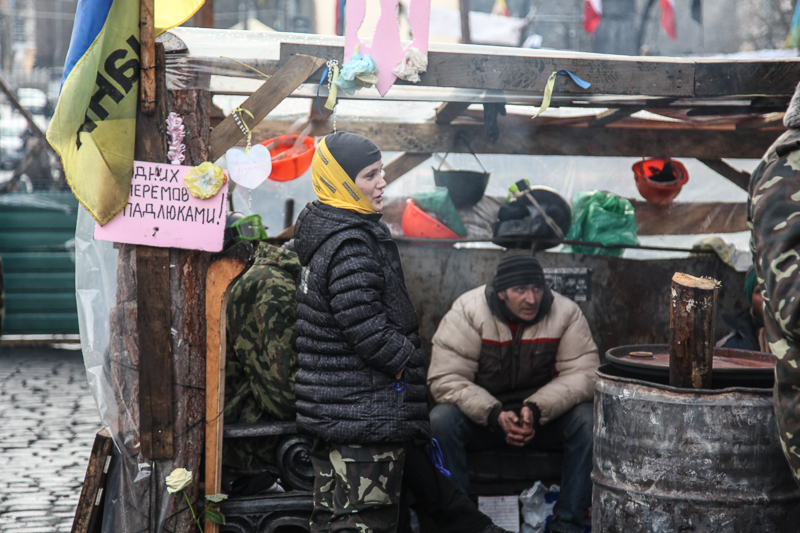 Many of the core group of EuroMaidan supporters left jobs and family to live rough in these makeshift tents, creating a 24 hour strong presence against the police. These makeshift tents were scattered all along the Maidan area, a city within a city.